Wow! 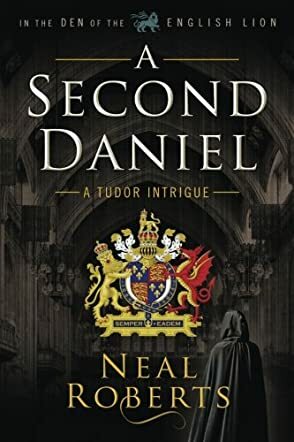 I just finished reading A Second Daniel, the first book of In The Den of the English Lion series by debut author Neal Roberts, and all I can say is WOW! In this absolutely fantastic story, readers will meet protagonist Noah Ames. An orphan from a distant land, Noah is given all sorts of advantages by the English crown, and with no real explanation. He grows up to be an accomplished man, a barrister in fact, and with a fierce loyalty to Queen Elizabeth. When he observes a botched robbery committed outside of the Rose theater he soon realizes that what he actually witnessed was a plot against his beloved Queen. He develops a plan to catch the sinister culprit, but realizes that in order to follow his plan to its fruition, he may have to reveal things about himself that he's kept secret for a long time, things that could just get him killed. Just who is Noah, and is his loyalty to Elizabeth worth his own life? You'll have to read the book to find out! I loved this book. LOVED it. I am a huge fan of tales from the Tudor era, and I read anything I can get my hands on set in this time period. A Second Daniel was truly head and shoulders above most that I've read. The story grabbed me from the first page, and I simply could not put it down. Author Neal Roberts has done an amazing job with scene setting, creating intriguing characters that his readers will absolutely care about, and including details that will make the reader feel as if they have simply slipped into Elizabethan London, simply another peasant on the street. Any reader who enjoys historical fiction, stories with a hefty dose of intrigue and mystery, or simply an excellent work of fiction will love A Second Daniel. I highly recommend this book, and I will be obsessively watching to see when author Neal Roberts releases the next installment of this promising series. If it's anything like A Second Daniel, it will be a masterly!